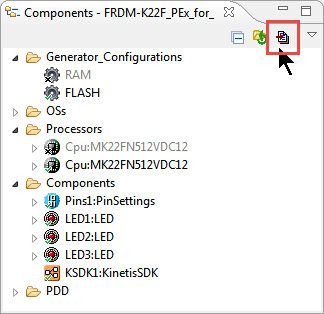 In this quick tutorial I’m showing how use Processor Expert for a ‘blinky’ project on the FRDM-K22F.Similar steps can be used for any other board: simply change the board and port number for the LED. 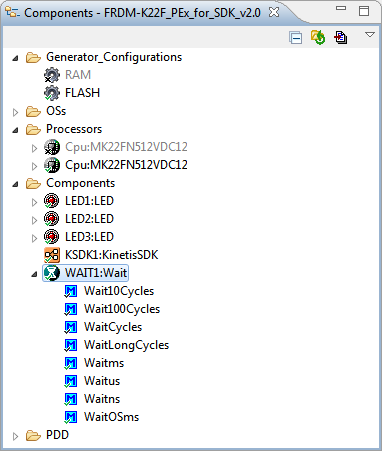 I’m using the Kinetis Design Studio V3.2. 💡 if using a different board, you have to check the schematics to find the correct pin settings. 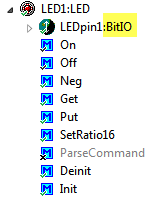 I repeat the steps for the other two LEDs (Green (PTA2) and Blue (PTD5)). 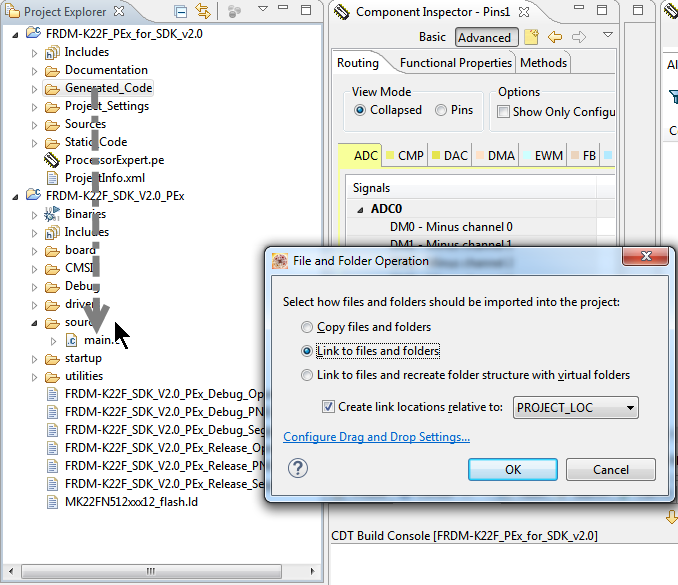 This will create a linked folder, and it will compile whatever files are in this folder. 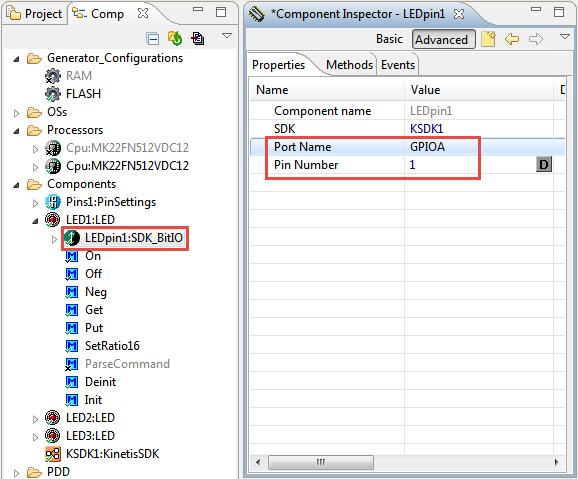 So if I later add/change the Processor Expert files, they will be used in my SDK project. 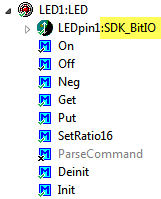 💡 I was considering adding the Pin Muxing to the LED Init() code too. But to be consistent with the way how the SDK is doing things, I had not done it there. 💡 In normal Processor Expert that driver initialization is done in PE_low_level_init(). 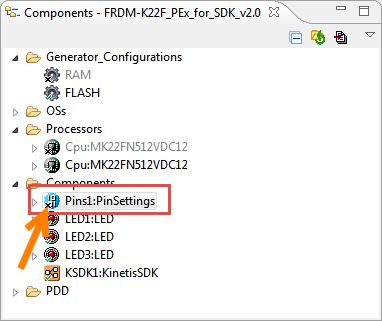 I believe I have found a good way to carry over most of the investments into Processor Expert I have: I’m able to continue my driver code with the Kinetis SDK V2.0 with the usage of a ‘mother’ Processor Expert project. 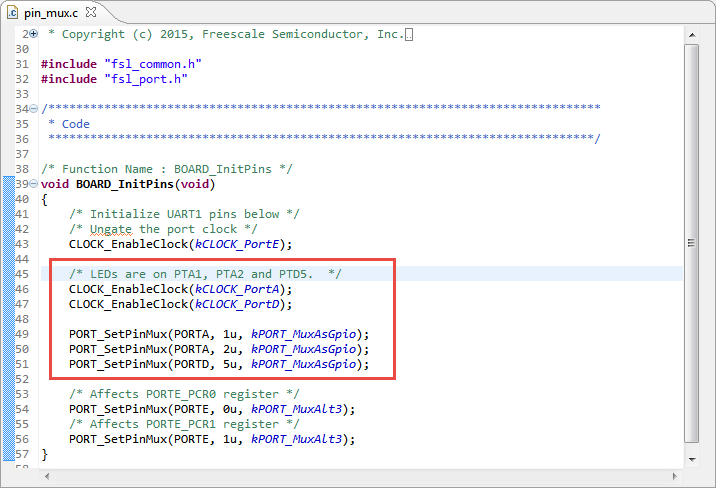 That approach is similar to the ‘Processor Expert Driver Suite’ approach as it exits to generate code for Keil or IAR IDEs. Of course with that approach I’m not able to get the expert knowledge of Processor Expert about clocks and pin muxing. 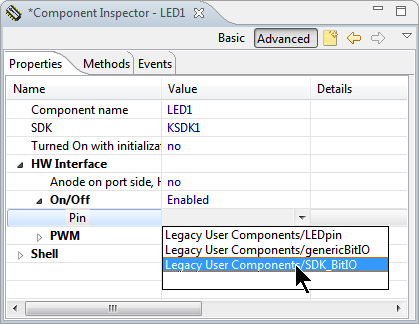 But at least I can continue to use Processor Expert components in the new SDK V2.0 world. 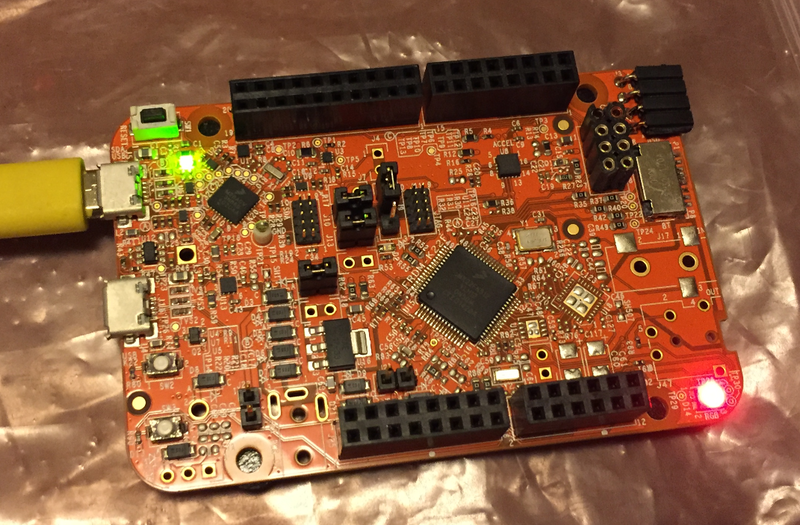 This entry was posted in ARM, Boards, Building, CPU's, Eclipse, Embedded, FRDM-K22F, Freescale, gcc, KDS, Kinetis, NXP, Processor Expert, SDK, Tips & Tricks and tagged arm gcc, Building, Eclipse, Embedded Component, FRDM-K22F, freedom board, Freescale, gnu gcc, open source projects, Processor Expert, software, software project, technology, Tips&Tricks by Erich Styger. Bookmark the permalink. So I went there, selected a processor (K64FX512) and toolchain (MCUXpresso IDE, even though I’m actually using Eclipse Oxygen with the GNU ARM toolchain and your plugins). I get a zip file, SDK_2.3.0_MK….zip. Now what? 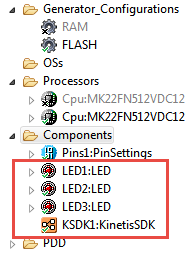 I need to get to the point where I have the “File > New > Kinetis SDK v2.x Project” option available. 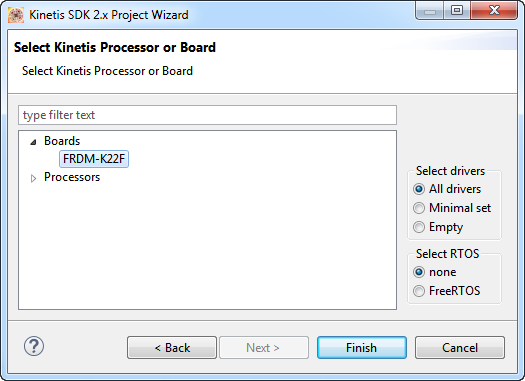 For the File > New > Kinetis SDK v2.x project option to be available, you have to install the NPW (New Project Wizard) plugin which is part of the Processor Expert plugins. So you have to install it if you don’t see that menu. 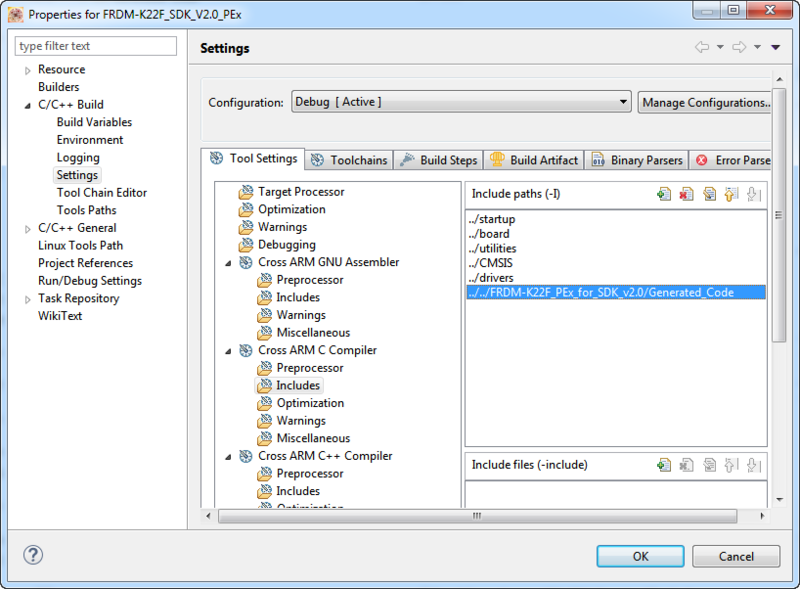 As for the SDK zip file: you need to have to generate the SDK on the McuXpresso server with the KDS option, download the zip file and then point from the NPW to that folder where you have extracted the SDK. I hope this helps, and Happy New Year! Hmm. “…you have to install the NPW (New Project Wizard) plugin which is part of the Processor Expert plugins…” which I get from…? The problem I’m having is that this site is so packed full of information it’s hard to find a series of articles that start from installing Eclipse and ends with, say, blinky with Processor Expert, or blinky with FreeRTOS. 1. Installing Eclipse Oxygen with GNU ARM MCU plugins, ARM Cortex Build tools, and a Debug probe interface. As you can see, there must be a missing step between 3 and 4. Or maybe 2 and 3. Or maybe 1 and 2. So the immediate question is, what am I missing? More generally, it would really help, I think, to have a roadmap like the above posted somewhere prominently. Do you have the following menu items present? 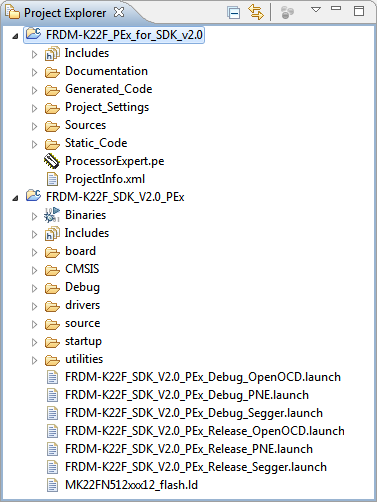 – File > New > Kinetis SDK 1.x projects and File > New > Processor Expert Projects? 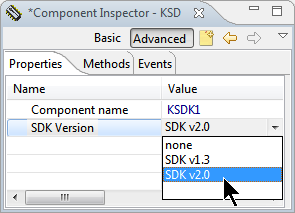 The File > New > Kinetis SDK 2.x projects is from the KDS update site (maybe I have missed to describe that step?). 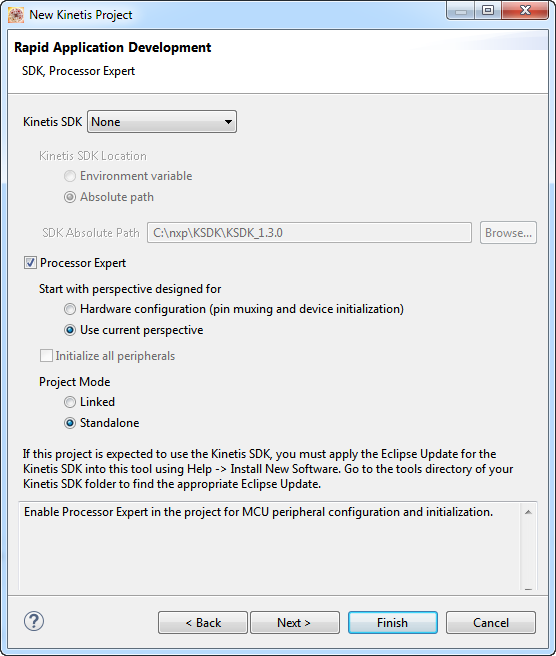 Use the menu Help > Install new software and point to http://freescale.com/lgfiles/updates/Eclipse/KDS as update site. 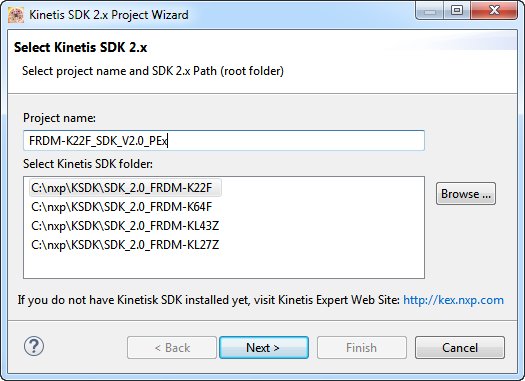 There is the ‘New Kinetis SDK 2.x Project Wizard as plugin to install. Yes, that is what was missing. Thank you! Missing requirement: New Kinetis SDK 2.x Project Wizard 2.1.0.201703201355 (com.nxp.feature.npw4sdk.feature.group 2.1.0.201703201355) requires ‘ilg.gnuarmeclipse.core 2.6.1’ but it could not be found. The only thing I have close to that is ilg.gnumcueclipse.core_4.2.1. I think maybe NXP is just not keeping up with the latest releases of the GNU ARM plugins. 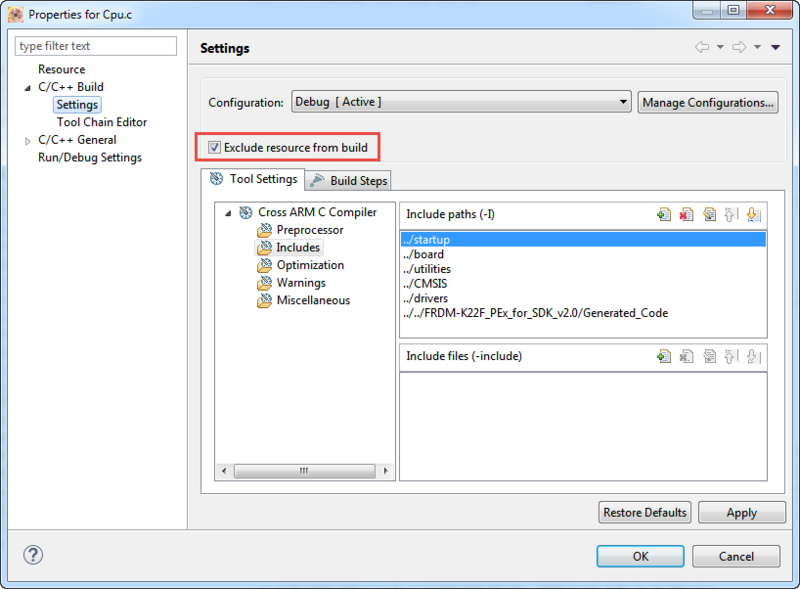 You can download zip files from previous GnuMcuEclipse plugins from the GnuMcuEclipse github site. Argh, that’s frustrating! I think I’m just going to try MCUXpresso. In the end, I just want to write code. I really appreciate your replies and your commitment to the site, thank you!